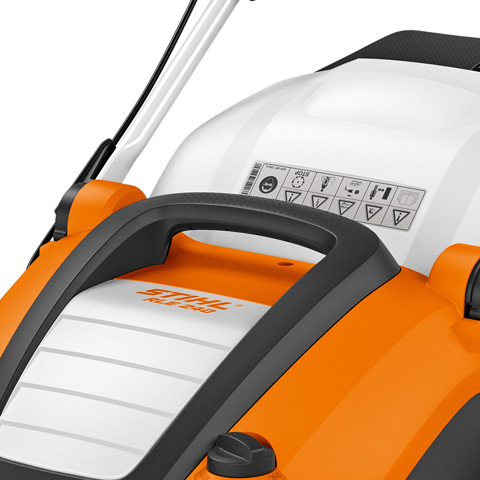 The high-performance STIHL petrol lawn scarifier RL 540 removes moss and lawn thatch from even larger lawns quickly, conveniently and cordlessly. 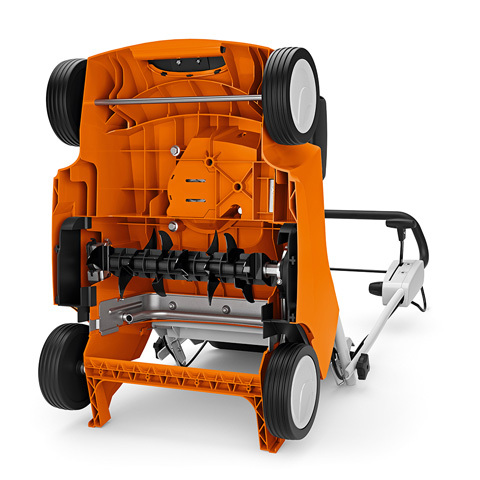 Driven by a powerful petrol engine, the scarifier ensures optimal lawn aeration. The scarifying unit can be conveniently set to the required working depth on the handlebar. This effective complement to your lawn care takes just a few steps per year. Proper scarifying fundamentally improves the supply of nutrients to your lawn and promotes its growth in the long term. 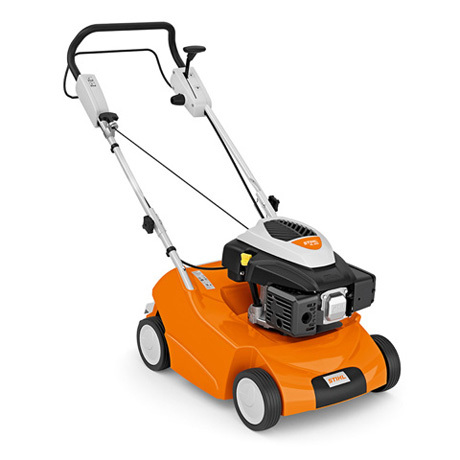 Thanks to the working width of 38 cm and the easy-running wheels with special tread, you have all the manoeuvrability and agility you need for your twice-yearly lawn aeration with the STIHL RL 540. The sturdy polymer housing is tough enough to withstand even long-term use. For easy transport, the scarifier is also equipped with a carrying handle. The handlebar can be folded in just a few steps, so that the lawn scarifier can also be stored compactly. The scarifying unit of the STIHL lawn scarifiers is equipped with sturdy, fixed blades. The sharp blades effectively aerate the lawn. Thanks to the SmartChoke technology, the engine of the STIHL lawn scarifiers starts at any temperature and with little effort. 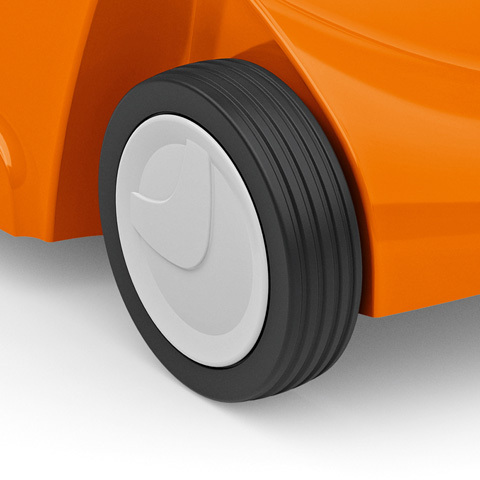 The easy-running wheels of the STIHL lawn scarifiers are equipped with a traction and directional stability tread pattern. This makes the scarifiers easy to manoeuvre during lawn aeration and gives them good grip. 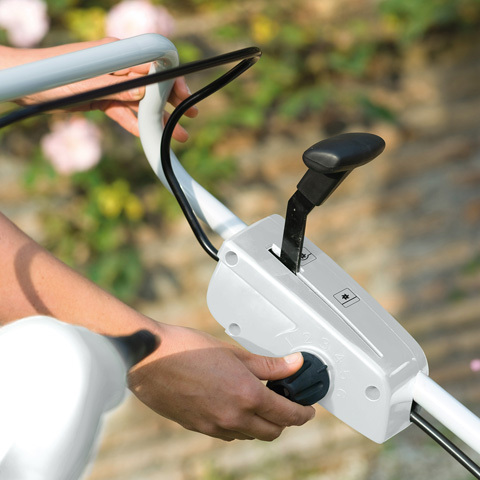 Using the control unit on the handlebar, the working depth of the blades can be adjusted in six stages. The scarifying unit of the STIHL lawn scarifiers can also be lowered or raised using the adjustment lever. 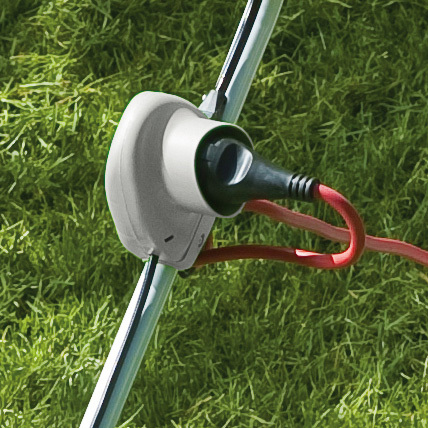 The integrated cable strain relief fixes the extension cable securely to the switch/plug combination on the STIHL electric lawn scarifiers, thereby preventing cable damage. 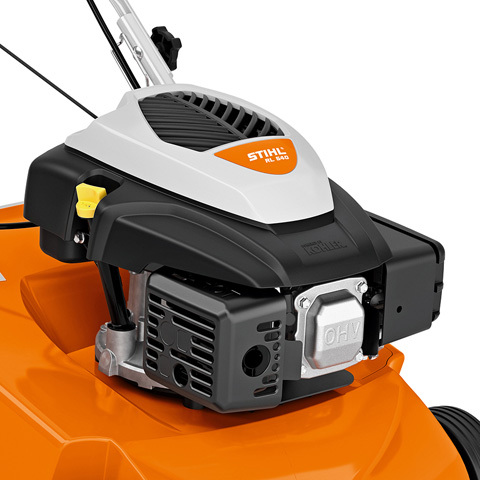 The housing of the STIHL lawn scarifier features an integrated carrying handle. It can be used to tilt or load the machine with ease. The carrying handle also acts as an impact protector and protects the housing of the scarifier when the machine makes contact with obstacles on the lawn. 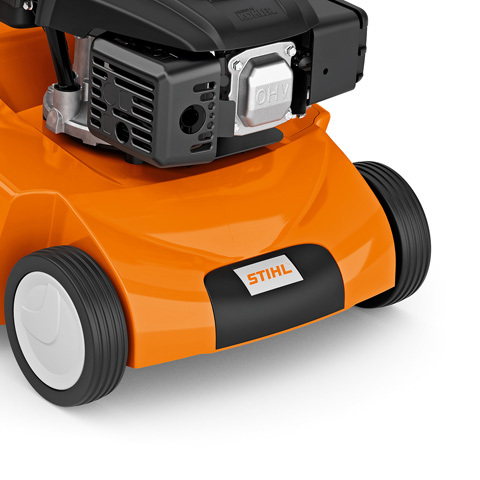 The polymer housing of the STIHL lawn scarifiers is made from an especially sturdy polymer. The material is resistant to impact as well as heat and UV. 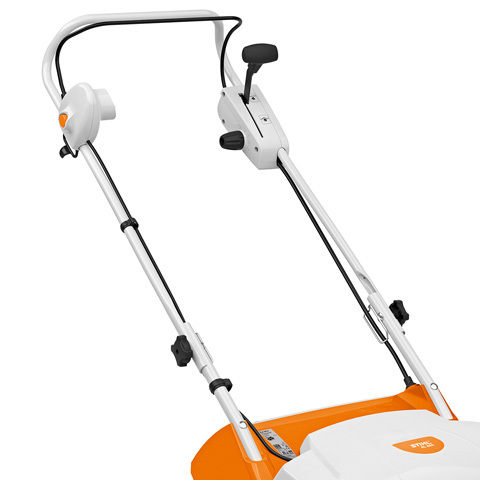 Thanks to the foldable handlebar, STIHL lawn scarifiers can be easily cleaned and compactly stored. 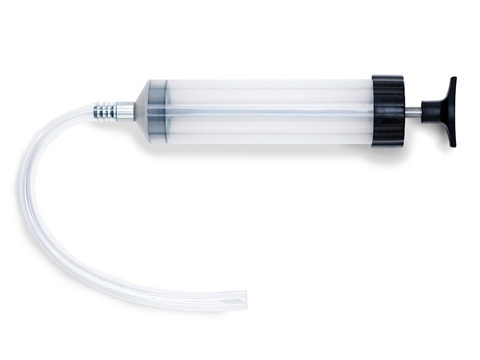 Fuel suction pump for all petrol models..